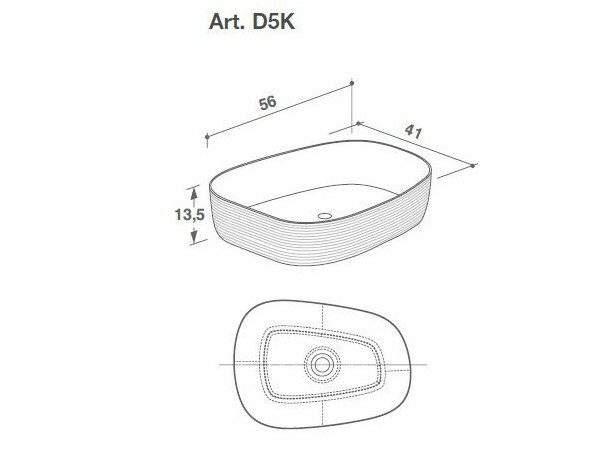 The Carmen basin has been designed with the Carmen bath. 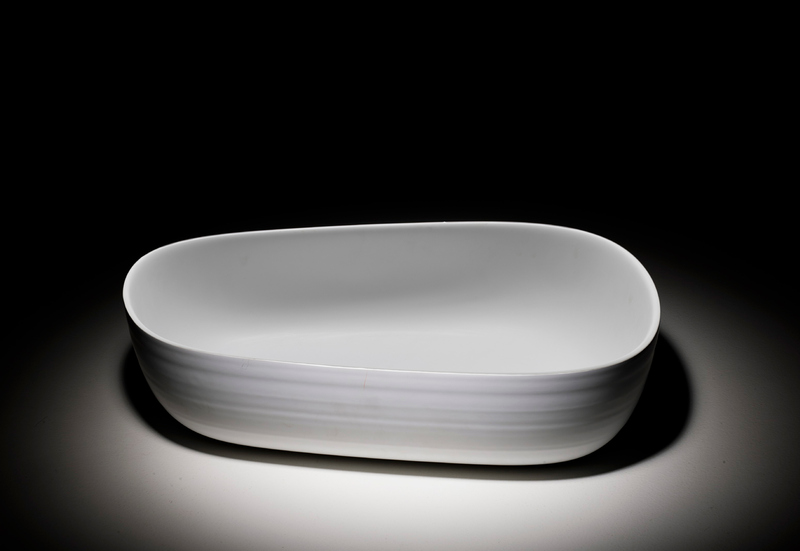 The Carmen products has a rectangular shape that flowers outwards towards the top. 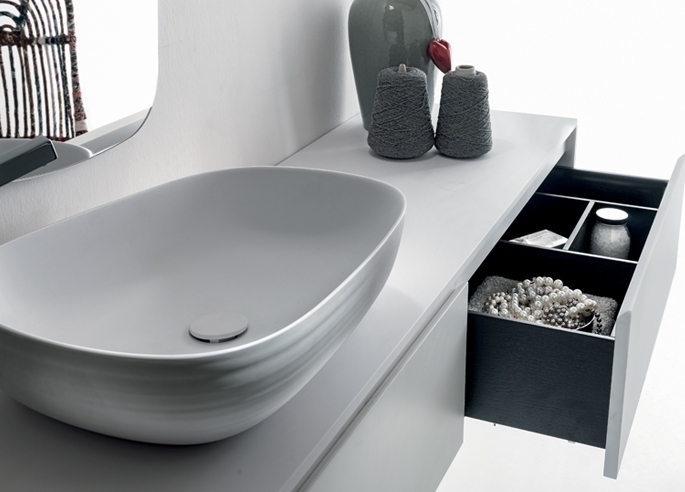 This contemporary range will be the focus of your bathroom. 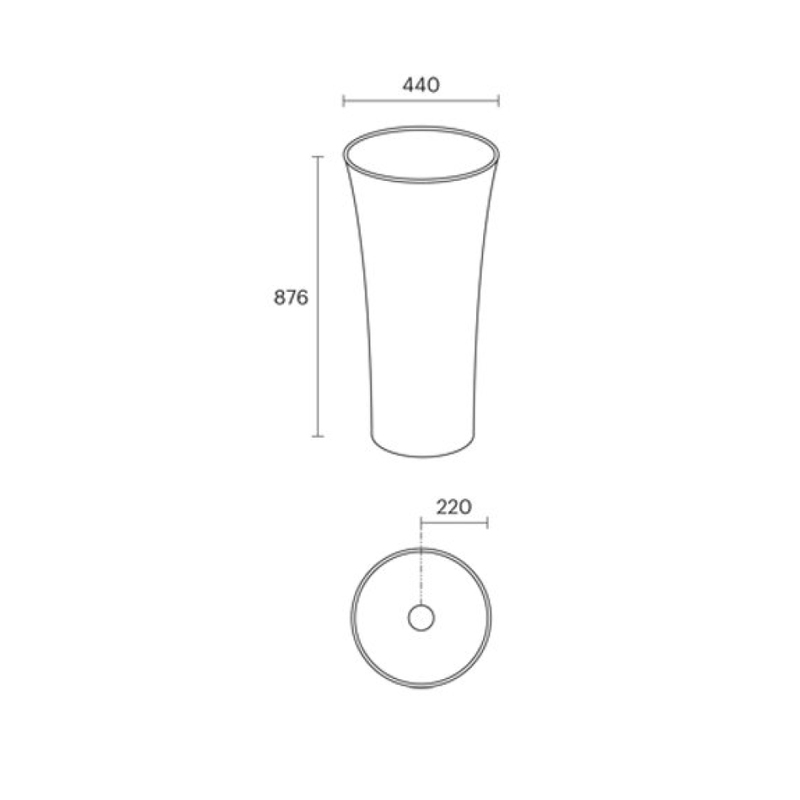 Wall-hung base 98.48 h 48 cm. Wall-hung base 78.49,5 h 48 cm. 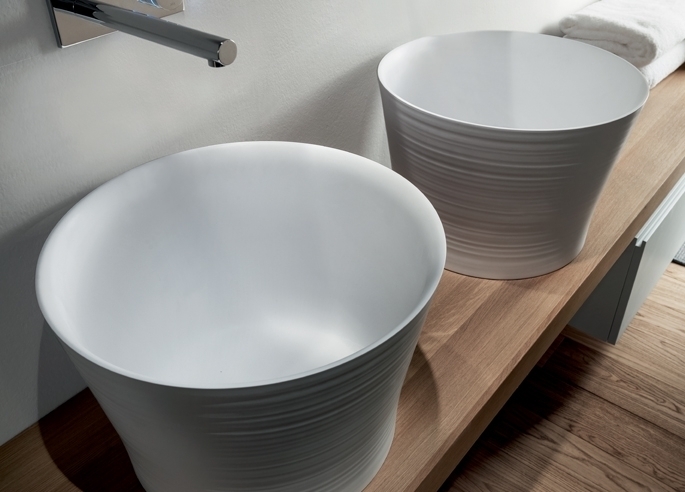 The Liscio basin is a large square basin, with a contemporary design and will be the focus point of your bathroom. 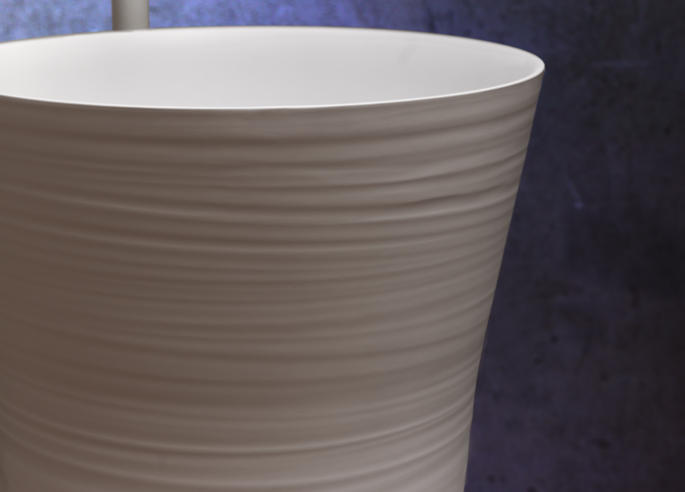 The Elaine basin is designed in an elegant and natural egg shape. 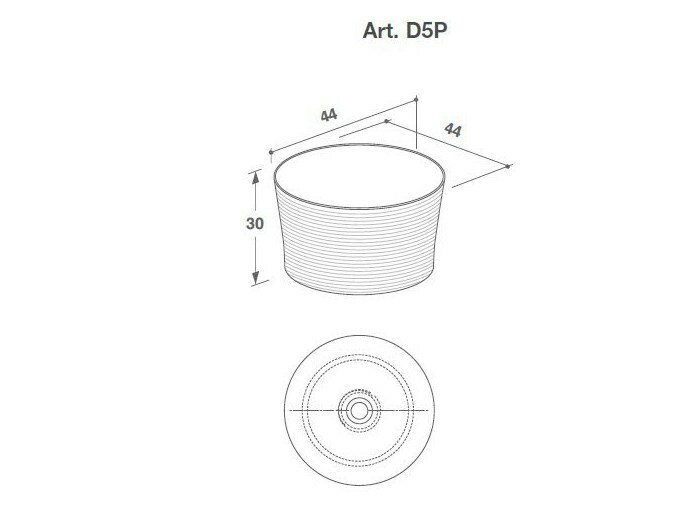 Wall-hung base 107.49,5 h 48 cm. 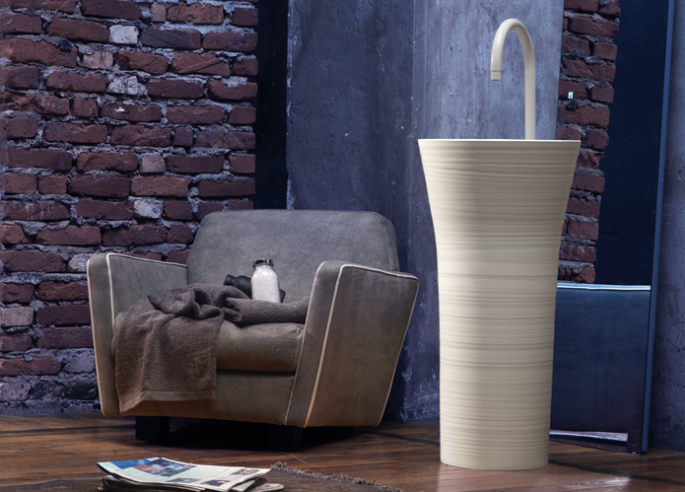 Unique elements with organic shapes perfectly balanced between functionality and emotion, the result of the original vision of our designers, highly advanced software elaboration of every single detail and skilled hands of our prototypists-craftsmen. 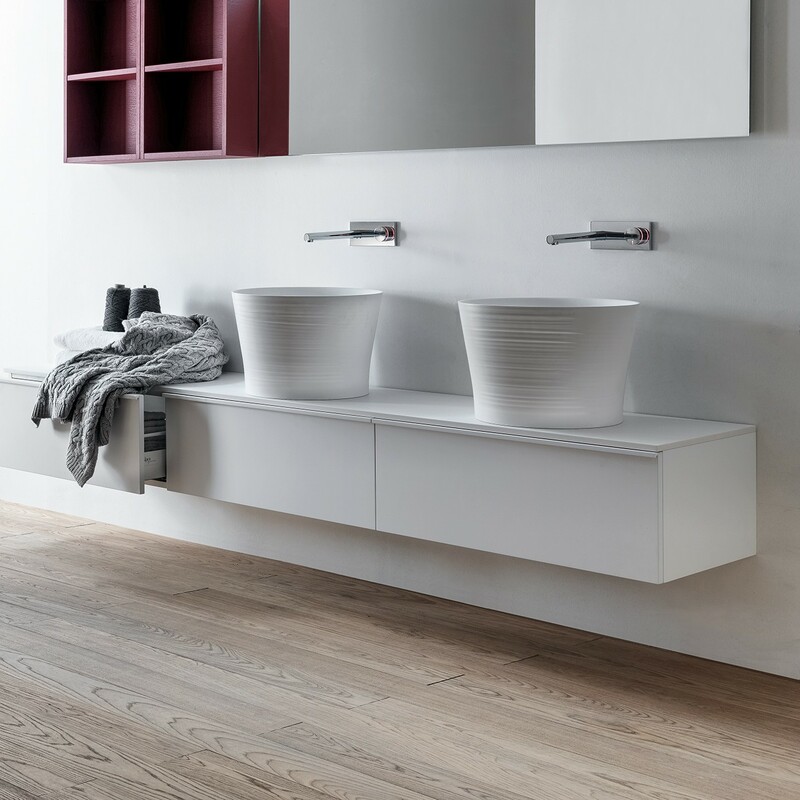 Each basin becomes a seductive sculpture which seems to come out spontaneously from the walls or from the floor of most modern bathrooms. 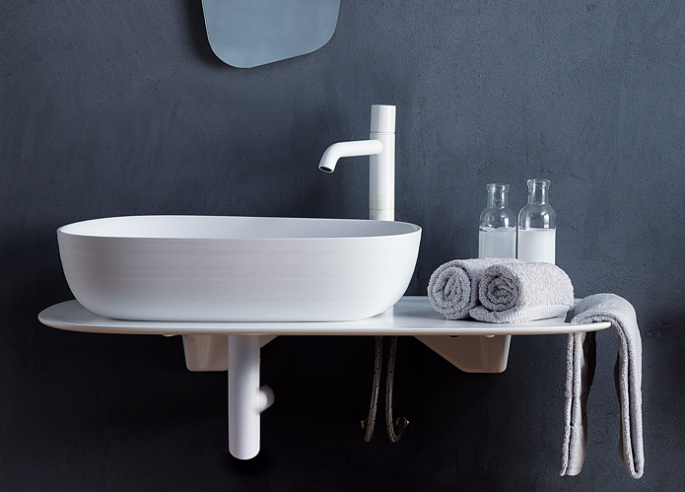 Solid shape and natural warmth for the CUBE, a plywood washbasin with a variety of finishes. The large side shows off the grain of the wood.